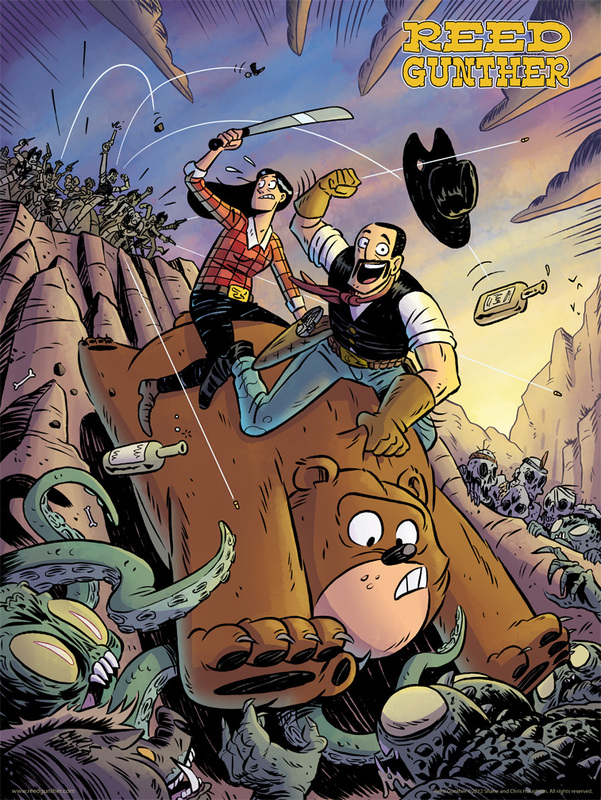 Everyone’s favorite bear-riding cowboy gallops into his first collected edition! 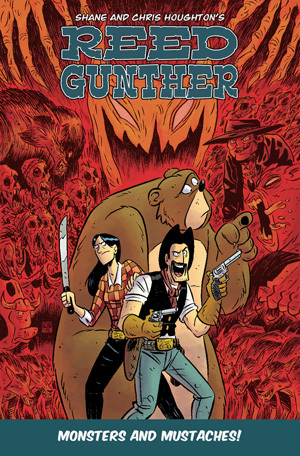 REED GUNTHER and his trusty grizzly bear steed bumble their way through the wild west fighting giant snakes, hoards of mole creatures, a resurrected John Henry zombie, freak show freaks, special government agents, and all sorts of wild monsters created by an ancient mysterious Idol! This colored collection of excitement, friendship, and adventure is fun for folks of all-ages! 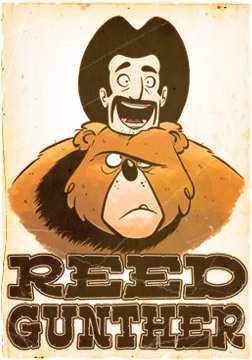 The bear-riding cowboy returns with more hilarious adventures! In this exciting collection, Reed Gunther tells his origin tale, battles a reverse werewolf, gets stuck in a hole, buys new boots, gets possessed by an evil spirit, eats pickles, and lots more. Of course his best friends Sterling and Starla are there for all the dangerous, heart-warming and goofy adventures. 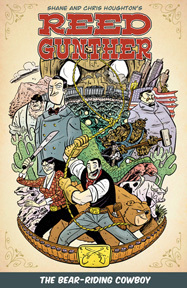 Avoid having naked walls by getting a super awesome 18×24″ Reed Gunther poster! This is a limited run (250) poster and will not be reprinted. Get yours now before they’re gone!